What’s your inspiration? Say, for your taste in whiskey or how you style your home? Who inspired you to pursue your job … or change careers entirely? Where do you look when you need a creative spark? For us, inspiration first was born of necessity; we couldn’t find great suits to wear for a friend’s wedding five years ago. So we designed our own. “Find a need and fill it” is a good motto. For 1701 Bespoke’s styling inspiration, though, we cast an eye 4,700 miles due east of Detroit. There, on Italy’s west coast is a city much like Detroit in that it plays second (sometimes third, fourth, even fifth …) fiddle to more boastful – but not necessarily more fashionable – burgs. But Naples, like Detroit, enjoyed a much glamorous past and today holds it own, style-wise, to those in the know (and that includes you). First, a quick history lesson. In the early decades of the last century, Naples was considered one of Italy’s most chic cities, just as Detroit enjoyed a reputation for style and sophistication, design and dynamism. And its location on the shores of the eastern Mediterranean meant many Neapolitan stylemakers were influenced by those from France and Spain. But the primary inspiration for men’s tailored clothing, interestingly enough, was England. By the 1930s, however, a young Neapolitan tailor named Vincenzo Attolini started to rewrite the rules of fusty British elegance. 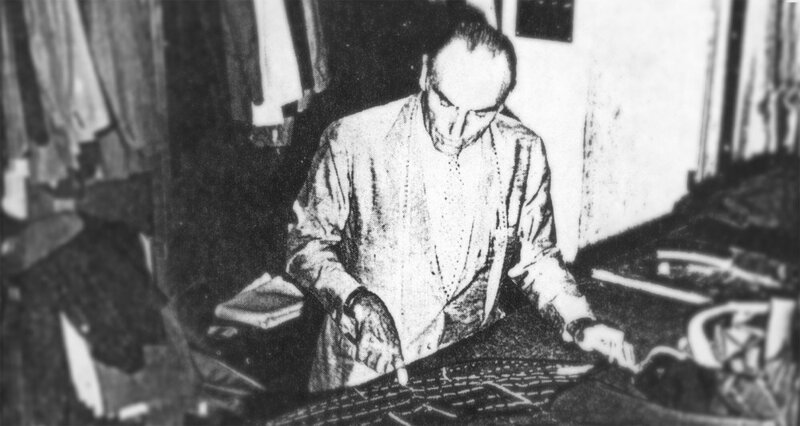 Specifically, he designed, cut (he was known for his unparalleled cutting skills) and sewed a suit jacket with a line never before seen, and with original finishing touches still admired decades later. In fact, the company that he inspired, Cesare Attolini – founded by his son, Cesare – carries on this elegant, sophisticated tradition. But you needn’t book a trip to Naples, or to New York, Miami, Milan or Baku, Azerbaijan, where the firm’s stores are located, to find this wonderfully tailored look. Neapolitan-style jackets feature extraordinary details, some visible, like the “boat-shaped” breast pocket, others not so much, like upper collar tacking which contributes to the garment’s superior fit and excellent line. But the suit’s not quite finished. “We perform a final task just before a client picks up his suit,” Nelson says. This terminal stage is hand pressing the jacket, just as it’s performed in the Attolini atelier. In this way, Nelson says, we give it shape to ensure a perfect fit.